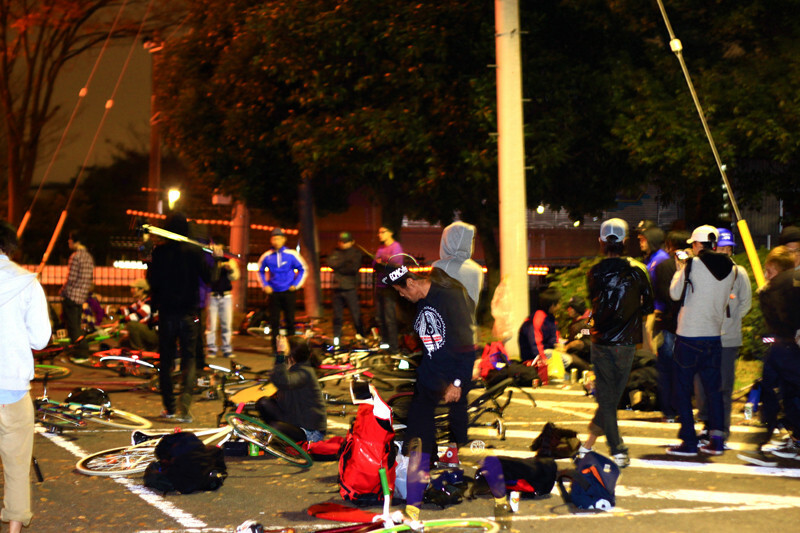 また、水駒という都内でも有数のポロ道場を作り上げたW-BASE Riders & Setagaya LocalのみんなにもBig up! entry will begin at 9:00 a.m.
game will begin at 10:00 a.m.
pre registration: please send e-mail for "the e-mail address on the flyer". more info. 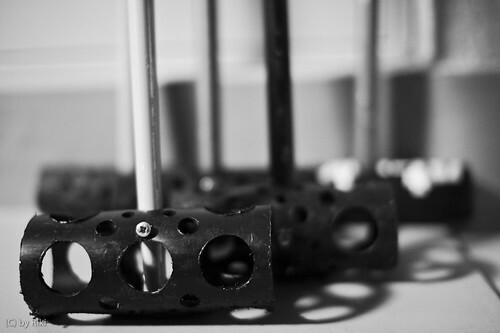 will be annouced on this blog & our forum on the facebook. 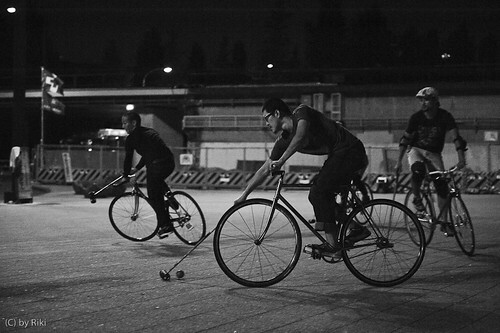 大阪ちゃりんこ忘年会 / bike polo tourney in Osaka! 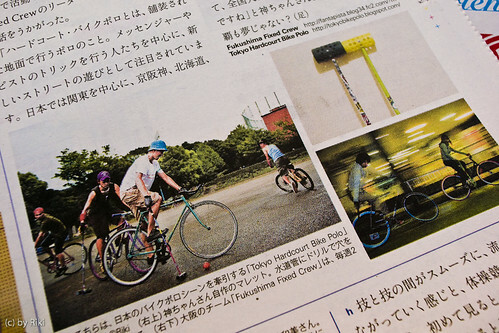 なごやチャリフェス /THBP will go to Nagoya Bicycle Festival for bike polo! 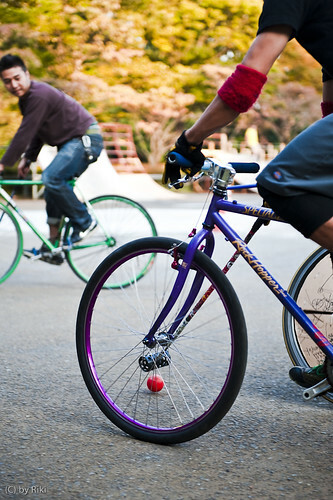 This weekend, THBP will go to Nagoya city for Nagoya Bicycle Festival. 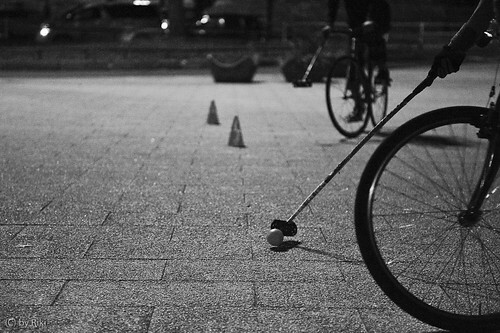 We support & entry bike polo! 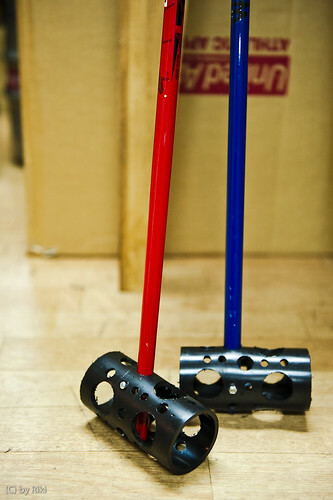 and... we will bring some color mallet head (blue & yellow HDPE pipes) & mallets. we will sell them in flea market. First come, first save. 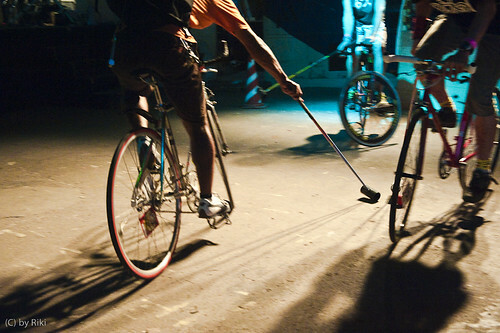 Let's play the bike polo with us! Yeah, we can't wait in this weekend! 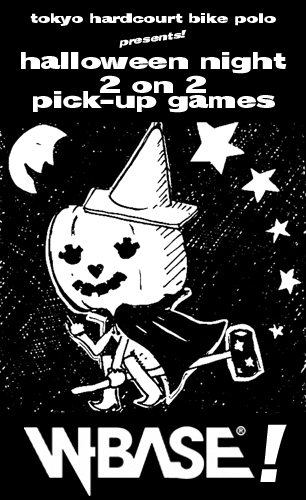 See you all at Yaba-cho! More info. 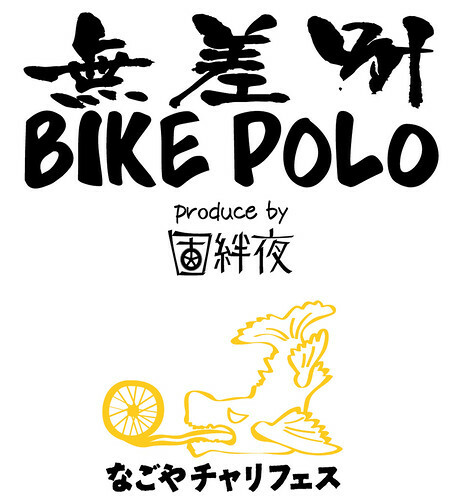 of "Le Polo de Makuhari"
12:30 - meeting place is "bicycle parking lot" for CYCLE MODE 2009. 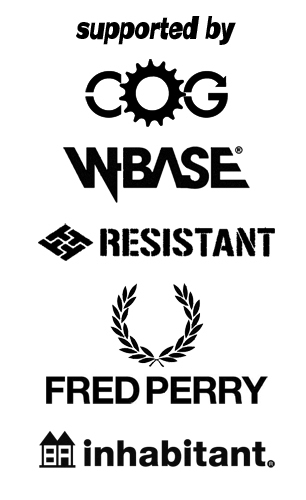 (please check to cycle mode website). You can get some info. at "TOMONI" booth. our venue is Makuhari Kaihin Park (parking area G). 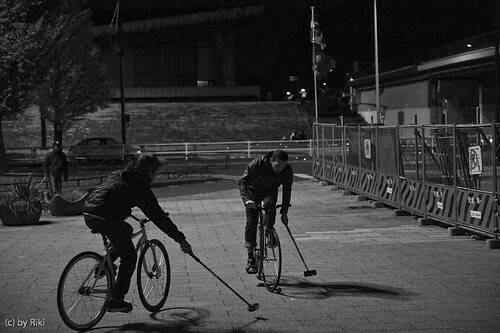 THBP and Bakansu Cycle crew organize bike polo practice in Makuhari, Chiba pref. Welcome to beginners. 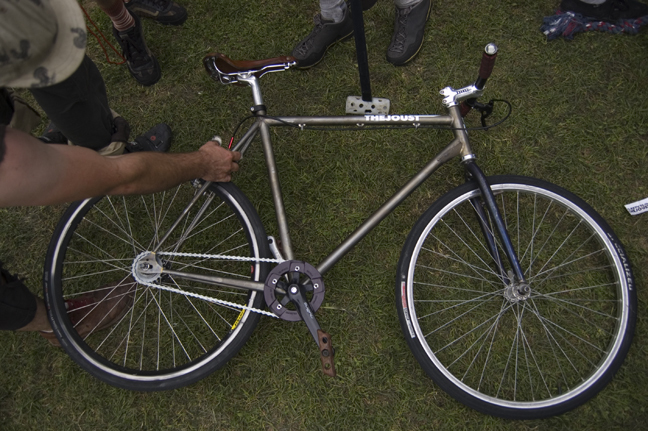 Bring your own bike. 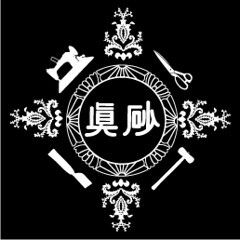 We will provide all equipments. We will announce the venue at Saturday night. check here or our forum on facebook. 東京ルール /Probably we need Tokyo "local" rule soon. Lately, I have been thinking about the necessity to define Tokyo Local Rules. Rules that will make games more legitimate, help polish our play quality, fair, and help raise our skill levels. This is my personal opinion, but I think we should decide rules for, 1. time allowance for resuming a game after a goal is made, 2. about dragging the ball. I also want to know players' opinions about their definitions of "own goal". This might be a nuisance, but please be patient and be cooperative! Thanks!! translated by Ms. October a.k.a Maki Hohjoh. 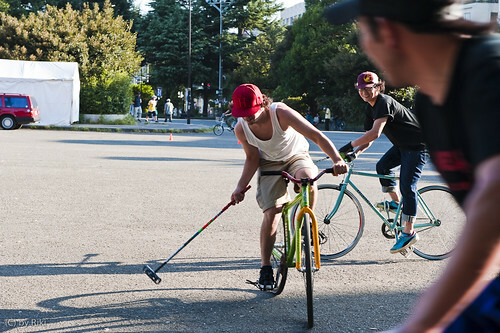 there are some images and movies of the hardcourt bike polo in Japan at last weekend. Plactice at Komazawa park, Setagaya, Tokyo. 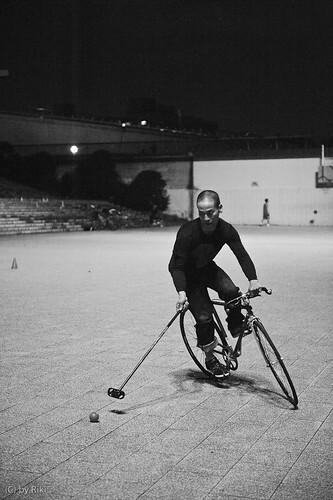 1on1 bike polo practice from ryo ubota on Vimeo. Pololympic at Omiya daini park, Omiya city, Saitama Pref. 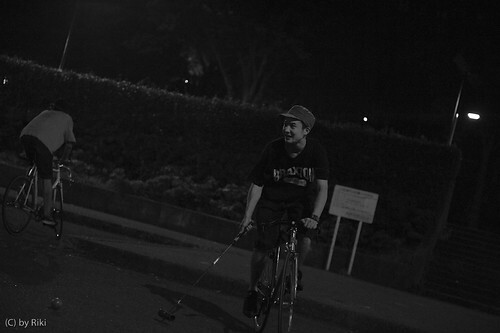 09.11.28 POLOlympic @ OMIYA from PISTACRAZY. 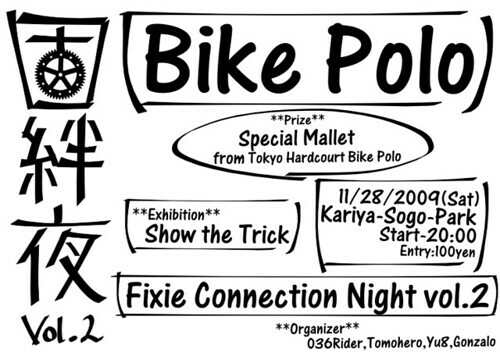 Fixie Connection Night vol.2 at Kariya Sogo park, Kariya city, Aichi Pref. 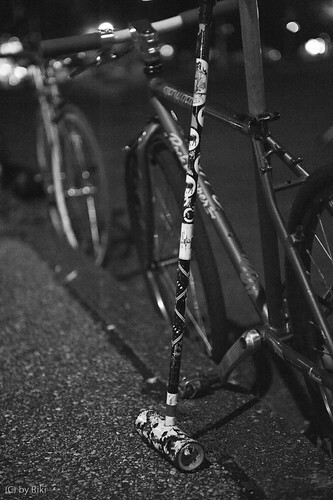 Fixie Connection Night vol.2 from sgonzalos. 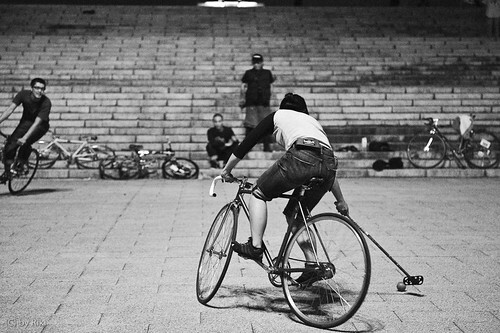 thanks for all of competitors, supporters, and mocchie (organizer/Omiya Fixed Gear). 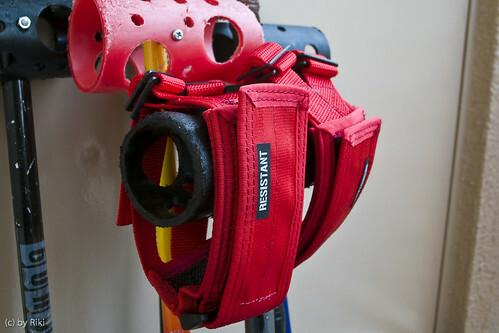 special red pedal strap (prototype) by RESISTANT. this is the prize for the MVP in Pololympic at Omiya park (28th, Nov. 21:00 till midnight). 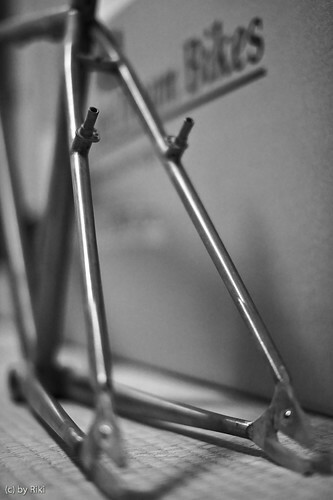 thanks for Mr. kmsn (president of Cyclex/RESISTANT)! Mr Hunter Goes to Columbia from Mr.Do on Vimeo. Exhibition in MAD Ollie 2009 at Shin-Kiba, Tokyo. 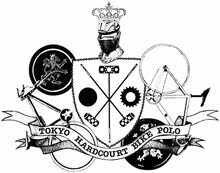 bike polo at studio coast Tokyo from ryo ubota on Vimeo. 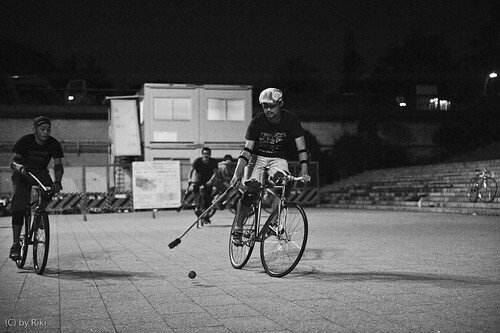 Tokyo Hardcourt Bike Polo do the exhibition at MAD Ollie (organized by Ollie Magazine. 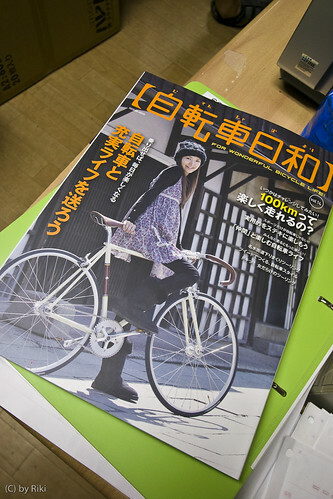 it's one of the most famous street fashion & culture mag in Japan (The circulation of the magazine is 200,000.) in this Saturday at Studio Coast, Shinkiba, Tokyo. See you everybody at Shinkiba! 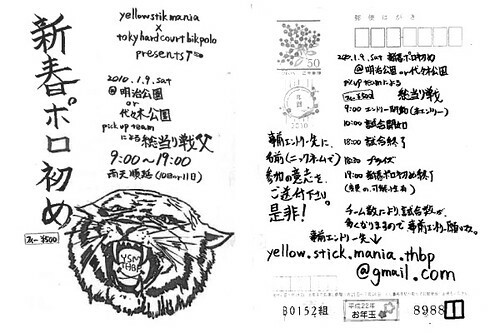 GORILLA Crew will come to Komazawa Park! "I got it and we'll be cutting tubes this weeks!" THBP supports making the article. 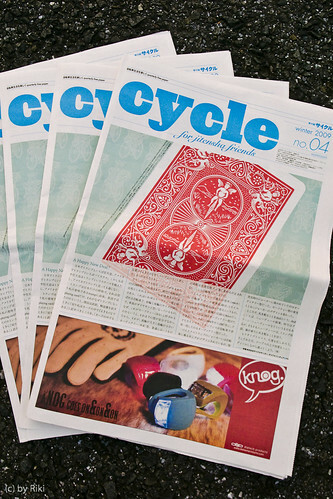 LOOP mag vol. 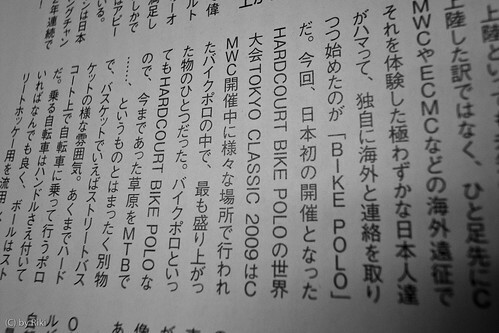 3 will release at 24th Dec.
Mr. kmsn (as Shinichi Kimura (president of Cyclex/RESISTANT)) wrote short report of Tokyo Classic 2009 on Jitensha Biyori Magazine. THE SESSIONS Vol. 1 more info! thanks for coming to our halloween games! Thanks for 48 players, less than 50 spectators, and some sponsors! Win 5 games consecutively! this is tokyo rules! 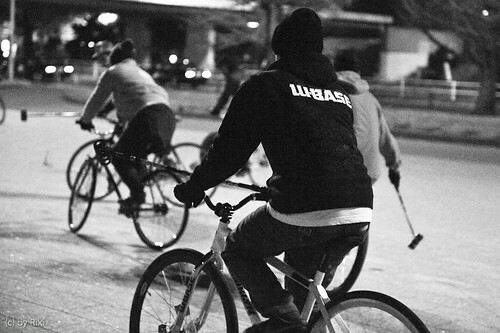 bike polo tourney is organized by THBP! @Odaiba J area/Aomi 1, Kohtoh-ku, Tokyo. 3 on 3/30m x 20m outdoor/5 points/7 min. fee: 1,000 JPY/player (3,000 JPY/team). you can entry at venue. 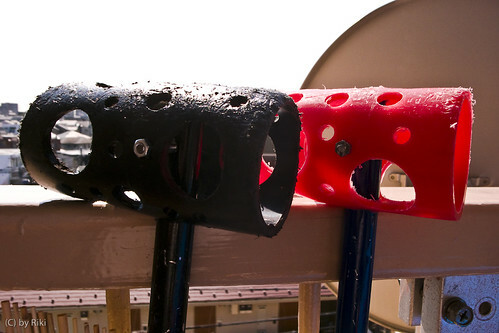 you must bring your own mallet! 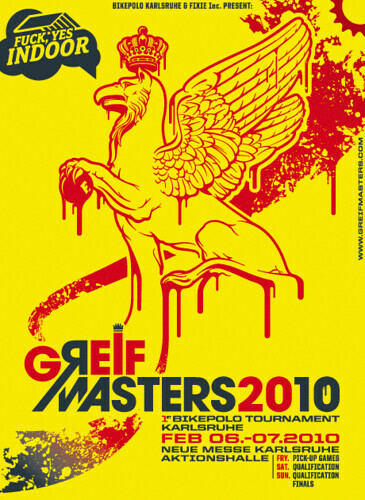 BFF POLO TOURNAMENT 2009 PARIS (low quality) from Uolmo on Vimeo. 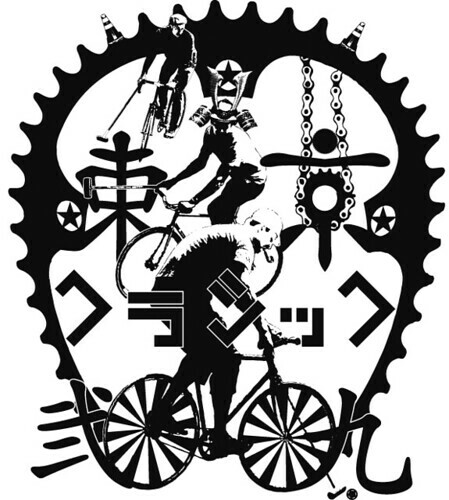 最新のPEDAL SPEED誌で表紙を飾っていたNYCポロ界の大御所、Dougが、ハロウィンのフライヤーを気に入ってくれた模様。 thanks for your comment, Doug! 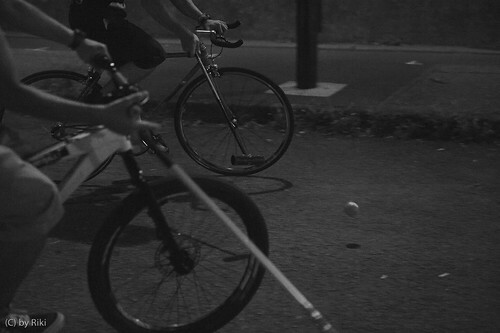 Trailer Happy Wheels 09 from florent Dubois on Vimeo. 2 x 2 + 5 points + 7 min + 3 games = halloween night pick-up games. there are some japanese reports of Tokyo Classic 2009. texts are almost Japanese, but some good photos included! 突然ですが / 3, 2, 1, polo tonight! 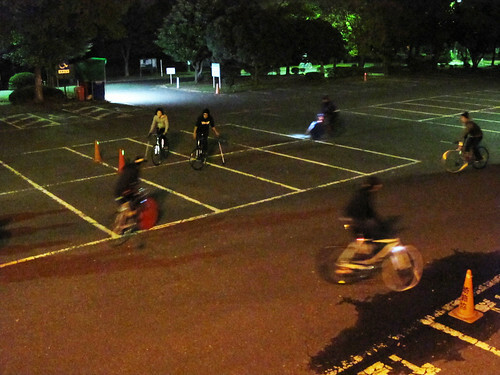 秋の夜長に、Let's play the bike polo! 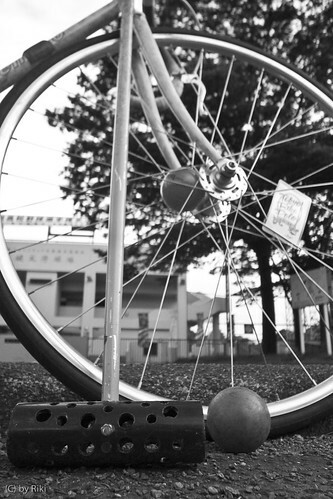 tonight, we will play bike polo at 19:00 at Meiji park. thanks for coming to our tourney! thanks for coming to our first tourney for all of players, teams, & spectators. we love you! 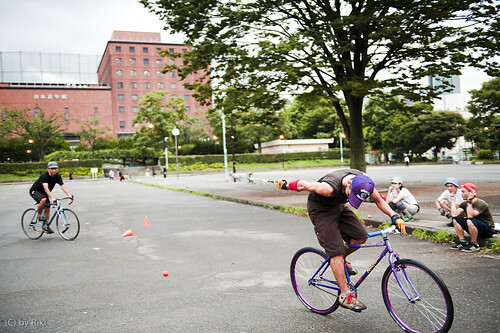 東京クラシック2009 ピックアップのエントリー / Japanese local bike polo team entered Tokyo Classic 2009! Tokyo Classic 2009 entry lists at 15th Sept. 2009. 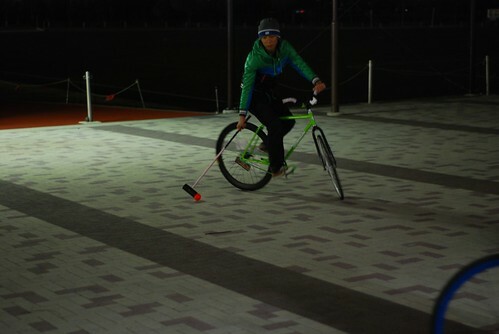 Mr. Kushiro & friends will play the bike polo at Friday night in Ageo city. check it out! 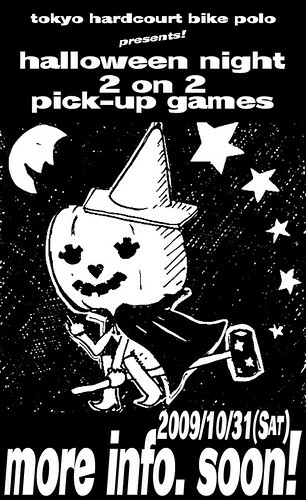 Registration Fee: HDPE pipe for mallet's head or Flanklin SHD Ball (or Mylec & Franklin's "Glow in the Dark" Hockey Ball) per person. (both are hard to get in Tokyo!) 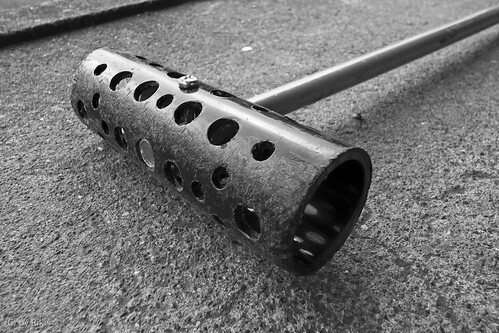 a set of pipe and ball? 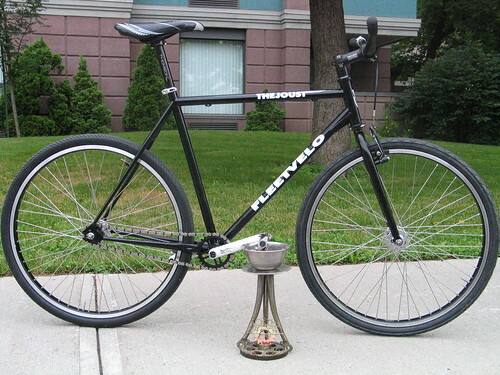 two or more pipes and balls? fantastic! we don't forget your support for Tokyo's scene, never! all games are not serious! 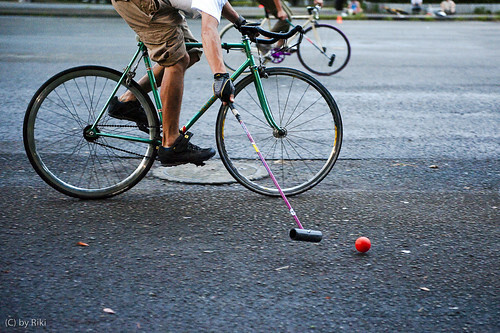 it's fun games for our guest of CMWC & local bike polo players. at our secret court in Tokyo. our regular court in Tokyo. 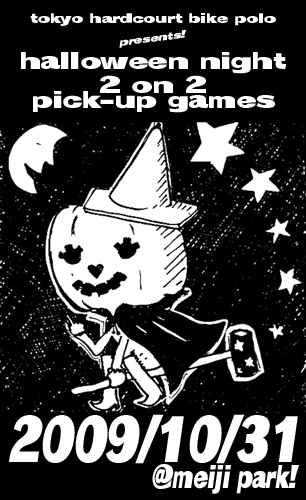 please check to our forum. where is your court? where is your place?